Otho Holland Lloyd was the son of the Irish barrister Horace Lloyd. Constance Lloyd, who married Oscar Wilde, was his sister. He was a contemporary of Wilde at Oxford. Allthough he read for the bar, he never practised law. Instead, he dedicated himself to translating ancient Greek literature. In 1884, a month after Constance married Oscar, he married the governess Hélène Clara St. Clair despite reservations from his family. He and Nellie, as she was known, had two sons, Otho Loyd and Arthur Cravan. Two months after Arthur was born he abandoned his family and moved in with Nellie's good friend Mary Winter. Nellie sued for divorce, obtained a good settlement and married the Swiss doctor Henri Grandjean (1862-1936). Otho lived in Switzerland with Mary. He was heavily in debt and dropped his family name Lloyd in favour of his middle name Holland. He visited Oscar Wilde in jail and Oscar's penitence towards Constance softened his attitude towards him. Not much later constance was dying. He rushed to her in Switzerland but by the time arrived she was death. He had three children with Mary and returned to England, where he lived in Bournemouth. Mary died in 1940 and Otho joined her in her grave in Bournemouth in 1943. His first wife Nellie died in 1934. 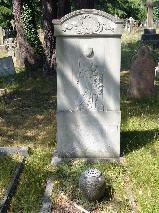 The grave of Otho Lloyd Holland at Wimborne Road Cemetery, Bournemouth.